After speaking with hundreds of marketers on the topic of lead generation from social media over the last year, we’ve noticed several key gaps in many of the current methodologies and practices shared by prospects. As such, we’re anxious to bring these gaps to light in the hope of helping marketers everywhere improve conversion from their efforts and increase ROI. In validating our point of view, we also decided to research what other trusted sources have to say about social media lead generation and incorporate them into our thinking. Many of these third party insights focus on paid distribution, however for the purpose of our research and our key insights, we will focus on what you can do from an organic distribution perspective to increase leads and how this can increase the ROI of any paid distribution you decide to do alongside organic. To sum up Marketo’s key points from their eBook on lead generation, to succeed on social requires a shift from company to buyer marketing to peer-to-peer influencer marketing as well as being altruistic and offering something exclusive. It goes without saying that eye-catching visuals and content of value are critical, but these didn’t match what we found in our own conversations. Sprout Social also offers some important insights on generating leads through social media, which include finding which social media channel fits best with your target audience, running contests, treating your social media pages as if they are your website (with multiple calls to action), tracking brand mentions, offering free trials or samples, and using videos to create demand. Demonstrating though leadership via content was another core element, something very familiar to us at Scoop.it as a content marketing software company. Yet despite these important insights, they didn’t mimic the key findings in our own discussions. One article that caught our attention from the Social Media Examiner, talks about promoting gated content and lead forms on your social channels, which had some correlations to the insights we found in our conversations, but with a twist; while adding lead forms to your social channels may attract some conversions, in our experience, it may be too soon for people to consider converting if they haven’t yet visited your website. More recently Matthew Hutchison, Senior Director of Product Marketing at Salesforce extolled the need to listen carefully to customer needs on social media and craft the right content or message, sometimes even on a 1-1 basis, to successfully involve yourself in the conversation. Matthew also hammers the importance of measuring performance and understanding ROI–as he correctly states only 23% of marketers are able to correctly measure results–which is a failure point for many marketers. 1. Do you have a well-defined content strategy? When we ask marketers if they have defined their buyer personas, their buying stages, and a month-over-month content plan for the next year that maps to their funnel stages, the typical answer is “no.” This part is critical because it will help marketers determine editorial relevance to their audiences and give the best chance of engaging and converting a prospect. 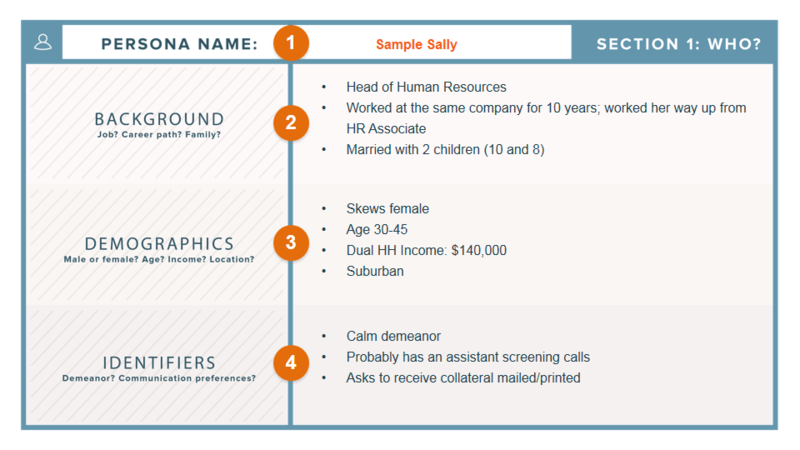 If you haven’t gone through these exercises, this is a great starting point from HubSpot. 2. Are you actually “promoting” your content? Most marketers we speak with only “share” their content, meaning they post it only a few times before moving on to the next post. Why is this a major failure point? Organic reach of social media posts has declined to just a few % per post; here are some proof points about Twitter and Facebook to understand this trend. What can you do about it? For an in-depth analysis on how to achieve optimal visibility for your content on social media, read this recent post. It’s essentially about how to automate sharing overtime to ensure a minimum level of visibility. 3. Do you truly understand your content performance? It’s hard to improve marketing performance if granular post-by-post metrics are unclear. Just like Matthew, 8 out of 10 marketers we talk to don’t know the relative value of their content performance. We actually developed artificial intelligence in our own content marketing software to read and predict content performance which you can read about here. But whatever system you use, it’s critical to set up a clear dashboard where you can quickly determine results. 4. Do your content posts on social media also link to your blog? This was one of the most startling revelations for us. Whether due to organizational structure or editorial judgement, many marketers would post huge volumes of content on social media, many of them curated from other websites, and yet the links would simply point people away. We feel this is a hugely missed opportunity. If we want to develop a strong pipeline of leads from social media, we need to ensure that most of the content we post, even if curated, has an anchor on our blog. Not surprisingly, our own Scoop.it Content Director which many use to curate content across channels, automatically ensures that curated posts link back to the client’s website and funnel. We hope our analysis, resources and insights will give you some actionable takeaways in your social media lead generation efforts and for some additional feedback on your current content marketing strategy, here’s a link to our Content Marketing Grader. It only takes a few minutes and will give you immediate feedback. Andrew is Scoop.it's VP of Monetization. 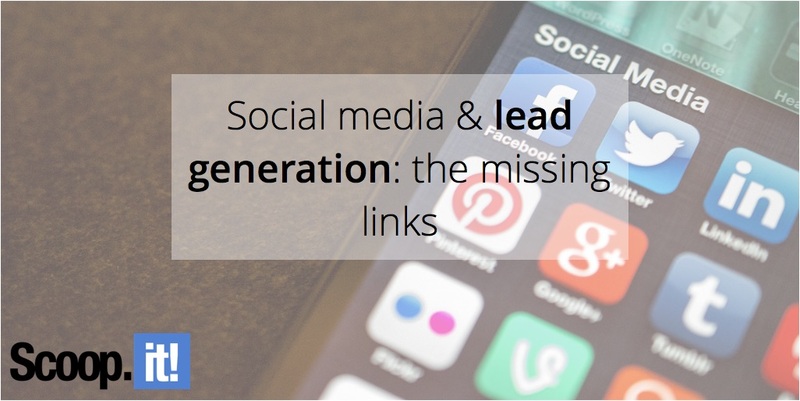 1 Comment on "Social media & lead generation: the missing links"
Thanks for your detailed post and links to others… I think I’m finally getting it!